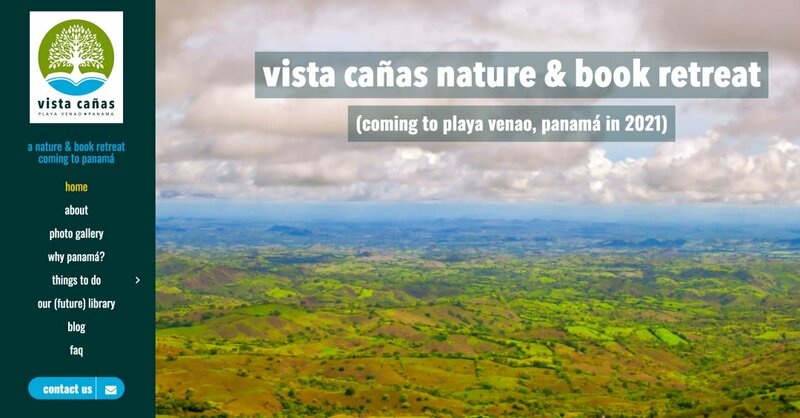 Nature Retreat Website (Jupiter Wordpress Theme) | S©ribaceous, Inc.
Vista Cañas is a nature retreat website for a proposed tourism property located in Playa Venao, Panamá owned by our CEO. While the property is being designed and constructed, it will be a simple website that will provide area information through an active blog and FAQ section. When the property opens for business, it will include accommodation and activity booking capabilities and a book lending checkout system. We wanted the photos of the property, area and surrounding nature to be the focal point of the site so we chose the Jupiter WordPress theme by Artbees. As you can see, it is very visual and did the job well! Standout elements of this responsive (mobile-friendly) theme are its flexible and extensive design capability, multi-language feature, built in store (for the future book lending library), and solid developer reputation.